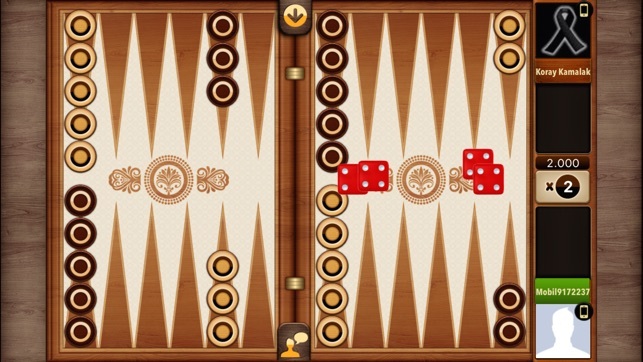 Backgammon Kings, the legendary Facebook game played by millions of users, is on iPhone and iPad NOW. Download Backgammon Kings for FREE immediately, play with your friends or with any online player you want. You can play Backgammon Kings on your iPhone 4, iPhone 4S, iPhone 5 and iPads. - "PLAY NOW" allows you to play without waiting. - You can "JOIN" your friend's table. - You can "CHAT" while you are playing. 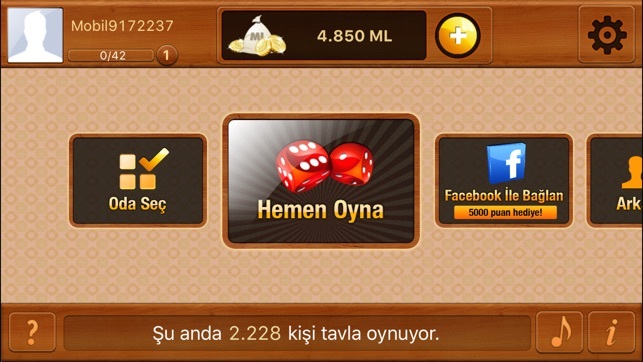 - You can win daily "BONUS"
- You can play as "GUEST" if you do not have any Facebook account. Backgammon, is world's one of the ancient games and also it has many variations with small rule differences worldwide. Tavla, tavle, tawla, tavli, gammon, shesh besh, mahbusa, narde, tapa, acey-deucey, gul bara, portes, plakoto, fevga are different variatians of backgammon and their users can play Backgammon Kings very easily. Collect unlimited free ML with Video Bonus! This is a great backgammon app. You can play backgammon against real life players online. Game is well designed and dices are fair. If you are a good backgammon player you will love this game. You will start with free points and bet on each game. As the game is quite popular, you would always find a suitable match for you. I strongly suggest you to try and enjoy. Best backgammon game ever! 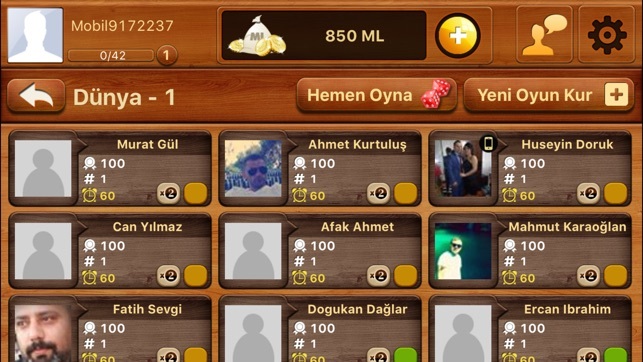 CRAP TURKISH CHEATING APP ! !